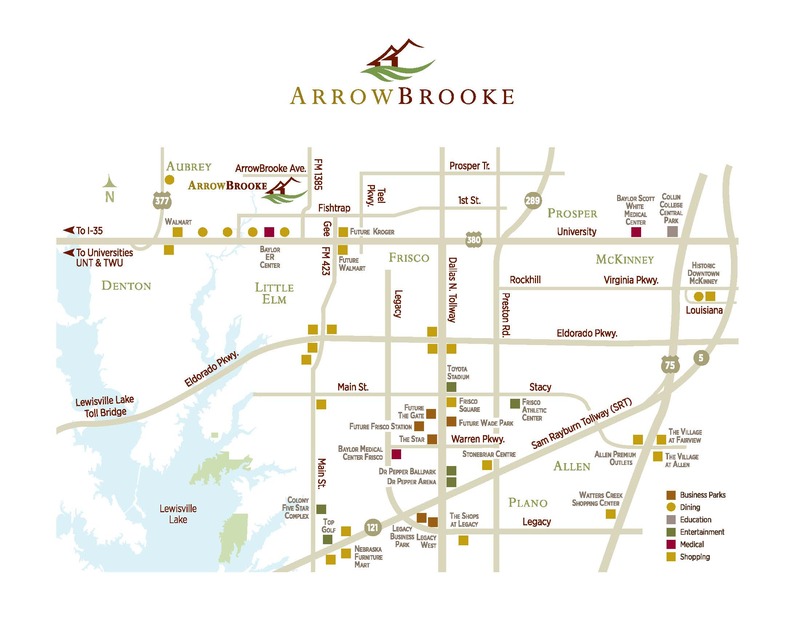 ArrowBrooke, nestled in beautiful North Texas, is conveniently located just north of HWY 380 off FM 1385/Holt. Just east of Denton and north of Frisco – this amazing community is close to great schools and major employment centers, yet maintains its small town charm. With easy access to major thoroughfares, resident commuters will escape the commotion of city life and enjoy the tranquil sunsets and slower pace of life found in ArrowBrooke. Although tucked away from the hustle and bustle, ArrowBrooke keeps residents within close proximity to everyday amenities—shopping, dining and entertainment venues.